In September, Independent Tasmanian MP Andrew Wilkie became the latest politician to be denied a visa to visit Nauru. Wilkie says it shows that the government has something to hide. That’s certainly true. Senator Sarah Hanson-Young was denied a visa in August. Then, a few days later, a delegation of Danish politicians cancelled their visit after three of their six-strong delegation were denied visas. It is just the latest indication that the government is on the back foot and the pressure to close Manus and Nauru is still growing. Even Paris Aristotle, one of the original architects of the Pacific Solution II has come out saying that refugees and asylum seekers have to be taken off Nauru and Manus. Aristotle has a dubious reputation as a fixer for successive Australian governments and was a co-author of the report by the so-called Expert Panel in 2012 that laid the basis for re-opening Manus and Nauru. That puts him in tandem with the position pushed by the so-called “eminent Australians”, Frank Brennan, Robert Manne, John Menadue and Tim Costello, who are advocating accepting boat turnbacks to Indonesia and finding third countries for the refugees from Manus and Nauru. Even though it was the Labor Party that restarted offshore detention, in the face of the revelations of the Nauru files it has continued to criticise the government for not finding third countries to resettle the Manus and Nauru refugees. But these calls are misplaced. If the Coalition was allowed to get away with sending refugees to a third country, it would essentially mean that the Pacific Solution would remain intact—and that Australia had successfully excluded asylum seekers, violated their human rights, tortured them for three years and denied them protection. As the clamour for the closure of Nauru and Manus grows louder, there is only one place that the refugees should be brought—and that is to Australia. On turnbacks, too, Aristotle and the four eminent Australians agree. Aristotle says that asylum seekers can be prevented from coming to Australia by using “the Australian Border Force, our navy, the AFP”. They say we have to accept the political reality—both parties are committed to offshore detention and turnbacks. But we are closer to closing Manus and Nauru precisely because we have fought the political status quo. Asylum seekers must be able to come to Australia in whatever way they want, or need to, and apply for asylum. To have Nauru and Manus close, but accept turnbacks, would mean offshore detention and Operation Sovereign Borders would essentially remain in place, to be activated whenever it suited the government. Asylum seekers who came by plane would be able to apply for permanent protection but any boat arrivals could still be sent to Nauru. (The PNG Supreme Court ruling that Manus is unlawful rules out using Manus.) The anti-refugee policies of successive Labor and Liberal governments are based on fearmongering and nationalist border control policies focussed on boat arrivals. Of course, things like processing in Indonesia and guaranteed resettlement for refugees can remove some of the need for boat journeys. But if asylum seeker boats are not welcome, the ideology of Fortress Australia will prevail. Over the next few weeks, the “Bring Them Here” campaign will step up. The Senate inquiry into the Nauru files will keep the barbarities of Nauru in the media. A “Bring Them Here” selfie campaign is set to take the issue further into workplaces. There are growing calls for a national refugee summit to discuss “alternative policies” to offshore detention and Operation Sovereign Borders. 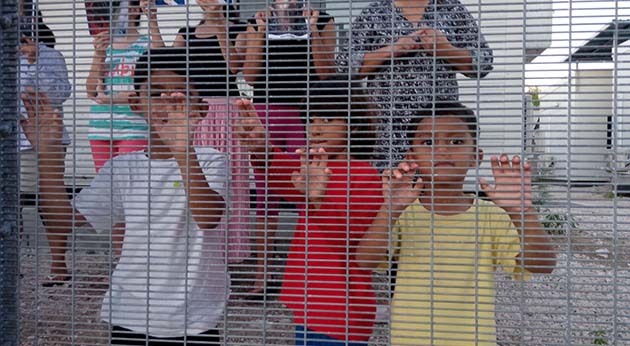 If the refugee movement is going to break the bi-partisan support for Fortress Australia and win its demands for a welcome refugee policy, it has to re-enforce its demands for an end to mandatory detention; an end to offshore detention and to bring all the refugees and asylum seekers from Nauru and Manus Island to Australia.